Matthew McConaughey is in Cleveland to shoot an upcoming film, titled White Boy Rick. 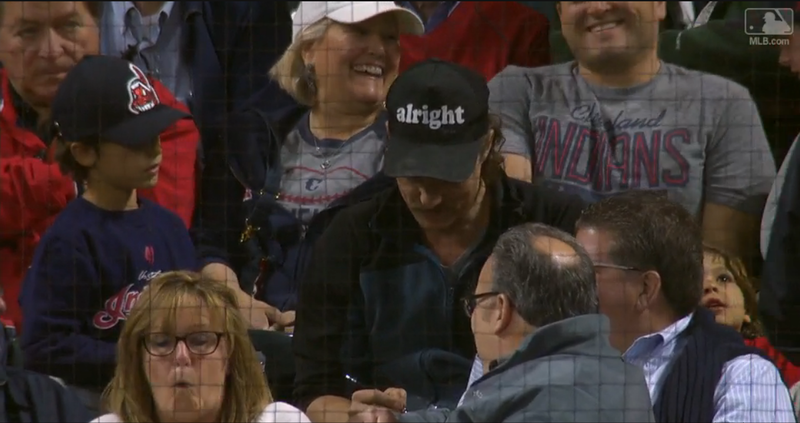 While in town, the actor and sports junkie decided to attend Monday night’s Indians-Rays game at Progressive Field, and rocked a hat which simply said “alright.” He also had a very Rust Cohle look going, minus the cigarettes and Lone Star beers. That is, of course, a reference to McConaughey saying “alright, alright, alright,” as David Wooderson in the classic 1993 film Dazed and Confused (and if somehow you haven’t seen that movie, stop whatever you’re doing and watch it). 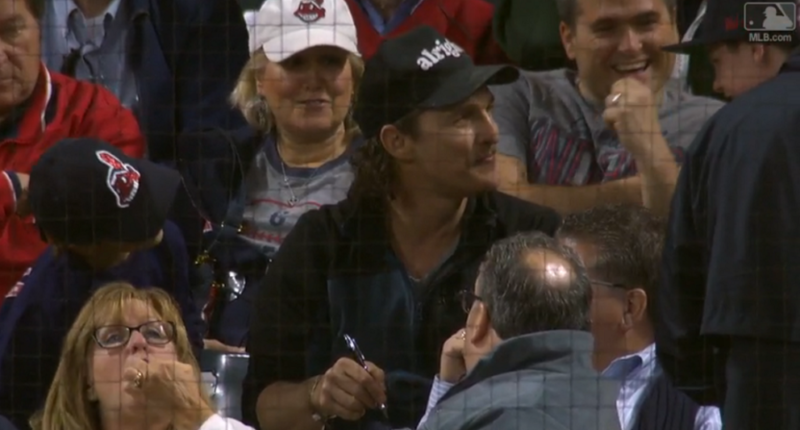 And McConaughey got to watch the Indians beat the Rays 8-7.